Paramedic salary in Georgia can vary based on a handful of factors. Oftentimes, paramedic salary figures can be dictated by region or hours worked. It can also depend on your working experience in EMS, or whether you’ve decided to work in the public or private sector. Paramedic pay in Georgia can also be determined based on the actual job description. 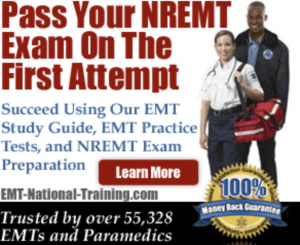 While many know that, for example, paramedics make more than EMT-Bs, different pay structures are in place for a wide variety of EMT-related jobs, such as a wilderness EMT, a firefighter paramedic, and even a flight paramedic. Some licensed paramedics have aspirations to go on and become Registered Nurses, which involves enrolling into a Paramedic to RN Bridge Program. Before we get into any specific numbers when it comes to paramedic salary in GA, it’s best to cover a few essential national statistics. How Much Do Paramedics Make Each Year? Using Salary.com as our guide, let’s see how the salaries numbers for EMTs, paramedics, and flight medics compare in the largest cities in GA (by population). In Atlanta, EMTs make $30,244 every year. Paramedics make an average of $38,339 per year. And flight medics make $41,021 annually. In Augusta, EMTs earn $26,778 annually. Paramedics earn $33,946. And flight paramedics make $36,320 in yearly income. In Columbus, an EMT makes $28,426 in salary. Paramedic salary equals about $36,036, while a flight paramedic salary is $38,556. In Savannah, EMTs make $27,452 per year. Paramedics earn $34,800 each year. And a flight paramedic pulls in $37,234 every year. And in Athens, an EMT makes about $26,929 annually. Paramedics make $34,138. And a flight paramedic makes $36,525 annually. If you’re currently looking for a paramedic job in Georgia, it’s recommended that you visit our job board. There, you can search for hospitals and ambulatory services that are looking to hire, as well as get your resume out and in front of key decision-makers. As you can see, with the exception of Atlanta—which is the largest city in Georgia in terms of population—most of the salaries of paramedics in the Peach State are lesser than the national average. Paramedics in Atlanta make the most money because it’s the largest city in GA, with anywhere between 420,000 and 540,000 people. That number dwarfs the second largest city in Augusta (approximately 195,000 people). It’s important to know that no matter where you live, becoming a paramedic will not make you a millionaire. But a paramedic salary can certainly allow you and your family to live comfortably while you do one of the most important jobs in America. Bookmark our homepage for more on paramedic training!